During his WPC10 presentation, Andy Lees specifically addressed which partners would be shipping devices this fall. Phones will be available from HTC, Samsung, LG and Dell. The one name curiously missing from the list is HP. Considering that HP recently purchased Palm, this is hardly a surprise. 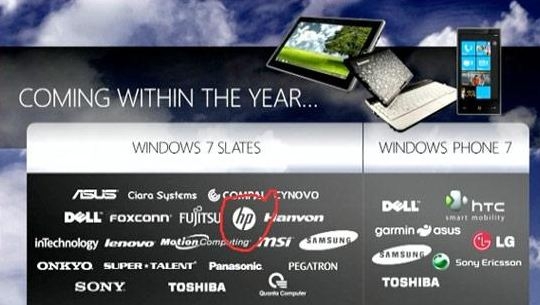 However, I would take this with a grain of salt considering that neither HP nor Microsoft have come out and said that this was a fact. Of course, if we look at HP's past record in regards to mobile phones, it probably doesn't matter one way or another if they are a partner. It's obviously not a core part of their business strategy, so other than having the big HP on a sign, it really won't impact the success or failure this time either.